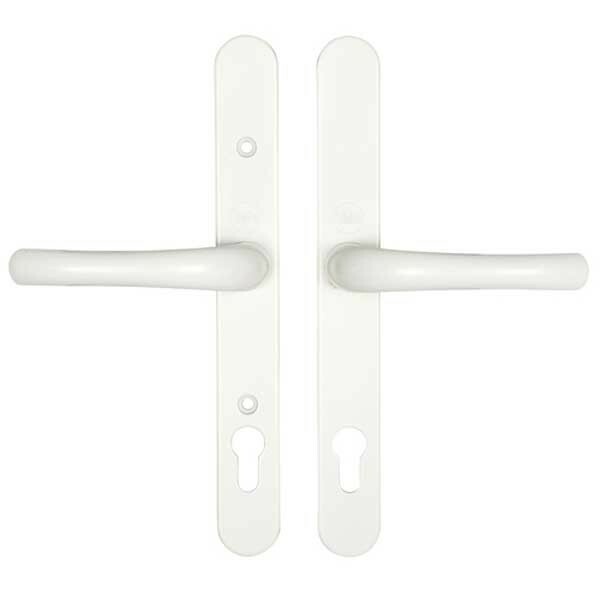 Replacement door handle for Multi-point locks with 92mm lock centres. Can be used on PVCu, Composite and Wooden doors. Multiple fixing hole positions to cover most brands of locks. Spindles and fixing screws provided to fit different door widths. Smooth and durable handle operation. Durable finish. Easy to fit. Multi-point locks are available in different lock centre sizes. This measurement is calculated by measuring the centre of the door handle lever to the centre of the euro profile cylinder. The most popular size of lock centre is 92mm and this handle has been developed to fit this size of lock. 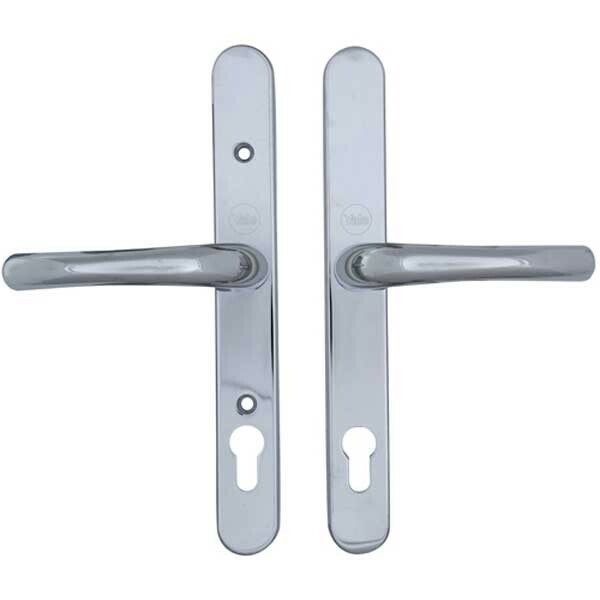 Please note: This handle will not fit locks with 68mm and 72mm lock centres. Each brand of lock has different fixing hole positions for the handle. 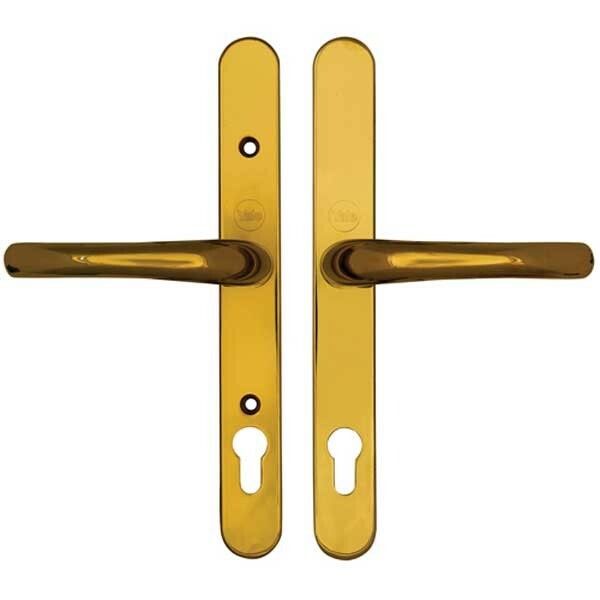 The Yale PVCu replacement handle has been developed to offer you a selection of fixing hole positions which cover most brands of lock. Supplied with screws, spindles, spring cassettes and moveable plates to allow for adjustable screw hole centres. 8mm spindle. Supplied as a non handed pair.